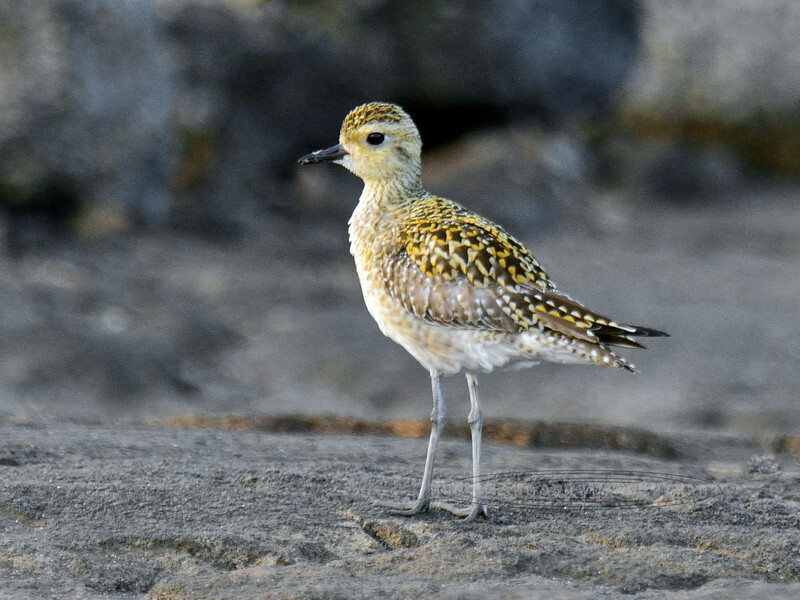 Plover, Pacific Golden. Searching for invertebrates in cracks on beach lava. Kona coast, Hawaii. #22.538.